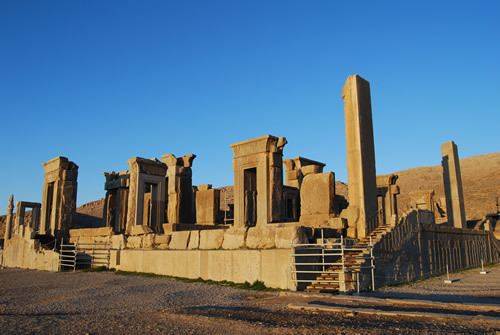 In the year 330 BCE Alexander the Great conquered the Persian capital Pārśapura (Persepolis), and after looting its treasures, burned the great palace and surrounding city to the ground. Such is the nature of the invader and colonist. It’s the psychosis of the conqueror to destroy the cultural symbols of the vanquished and to impose representations of the new order, there’s racism operating in which the culture of a subject people is seen not merely as alien but inferior. An extension of such thinking portrays the invasion, occupation and exploitation of another culture as some form of inevitable ‘progress’, we only need to recall the ‘Manifest Destiny’ justification, that encouraged and excused the genocide against the Native American peoples. Within such imperialist reasoning there are no oppressed, no freedom denied or sovereignty stolen, what exists is a grateful people benefiting from the technical, economic and educational superiority of a more advanced society! Of course symbolism as ever is important, a grand gesture to reinforce the notion of supremacy, no more appropriate setting for such aggression than an iconic cultural landmark or sacred location. 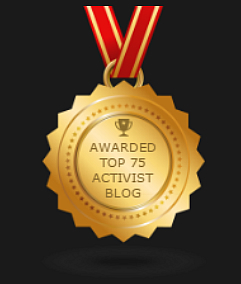 A triumphalism let loose and a reminder of who holds the power. 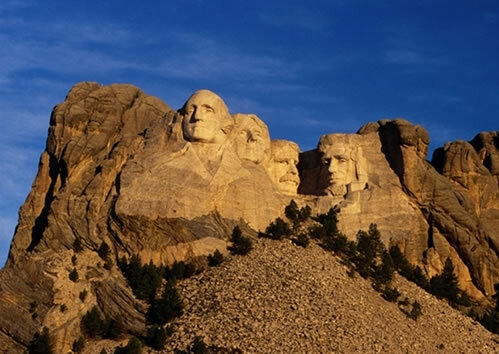 No place in North America illustrates such a racist and imperialist arrogance more disturbingly than the so-called national memorial in South Dakota. Like the First Nations of North America the people of occupied Tibet are witnessing the destruction of their sacred landscape as mountains and lakes considered as holy are ruthlessly exploited by Chinese companies. The traditional architecture of Tibetan towns is facing extinction too, after decades of Chinese occupation many Tibetan settlements have been transformed into concrete and glass examples of Chinese ‘modernity’, with the loss of a unique architectural and cultural Tibetan heritage. 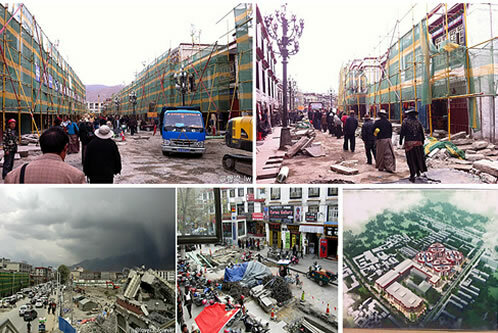 Such obliteration is particularly noticeable in the Tibetan capital, Lhasa, which has witnessed the demolition of the majority of Tibetan architecture. Indeed there remains now only a core of the traditional city and that has only been tolerated due to its appeal as a tourist cash-cow. 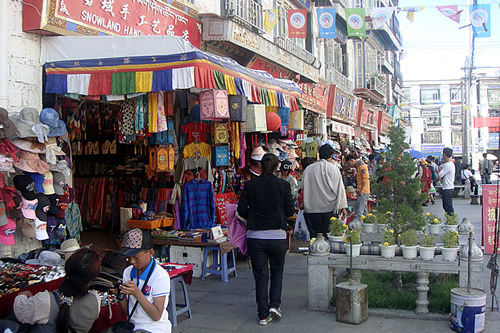 However even that area now appears under threat as China seeks to construct various shopping malls and offices in the center of Lhasa, an action that would add further erosive pressures upon that iconic symbol of Tibetan Buddhism, the Jokhang Temple. Recent reports from Tsering Woeser, the Chinese-Tibetan Blogger, has revealed a new program of destruction which has attracted the concern of Tibetans worldwide, who are mobilizing various campaigns to expose and oppose this latest assault upon Tibet’s rich heritage. Any efforts to oppose this destruction are welcome, however it should not be forgotten by anyone who feels sad and frustrated with the situation in Lhasa, that while China has the ability to demolish Tibetan architecture it cannot obliterate from Tibetan hearts the desire or determination to strive for an independent Tibetan nation. Meanwhile if you feel compelled to take action against the loss of Tibetan architecture do contact Paris-based UNESCO, either call them directly +33 (0)1 45 68 10 00 or via their Twitter account at @UNESCO Ask them to issue a statement on China’s demolition of Tibetan architectural heritage in Lhasa.